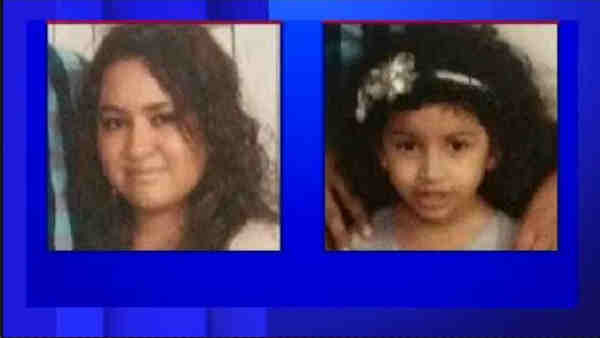 PASSAIC, New Jersey (WABC) -- Police in New Jersey are searching for a mother and her 5-year-old daughter who went missing on Saturday. According to authorities in Passaic County, 32-year old Cecilia Manzueta and her daughter Valentina were last seen at a Holiday Inn at 450 Route 1/9 South in Newark. Manzueta is driving a white 2016 four-door Honda Accord with a temporary New Jersey license plate tag L516472. Anyone with information can contact the Passaic Police Department at (973) 365-3900.